The Reserve Bank of India (RBI) has published the call letters for RBI Assistants Preliminary Online Exam 2017. 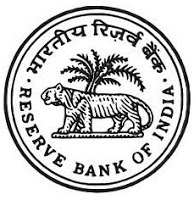 You can download your call letters and information handouts from the official website of the Reserve Bank of India (www.rbi.org.in) or from below link by entering your Registration No / Roll No and Password / DOB(DD-MM-YY). The Preliminary Online Exam is scheduled to be held during 27th & 28th November 2017. The call letter download link will be available from today (16th November 2017) to 28th November 2017.